← Dawn in the North Atlantic 107 Years Ago Today. A morning to remember. 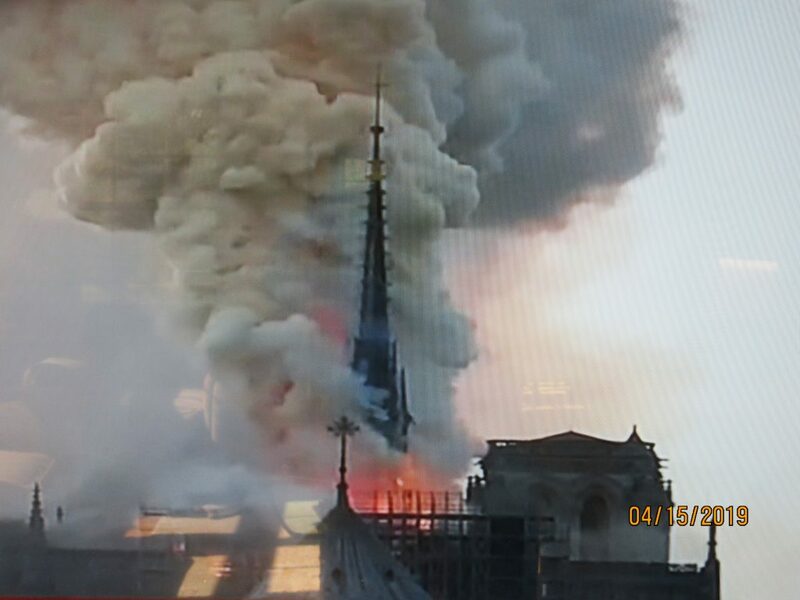 Fires beginnings spread rapidly to the roof, engulfed the Cathedral spire in the early afternoon (late afternoon in Paris. This is the view of the north side of the cathedral . The double-tower grand entrance is to the right. View from the rear of the building toward the front approximately 9:30 Paris time. The fire was officially declared out, in a Reuters report late in the evening. 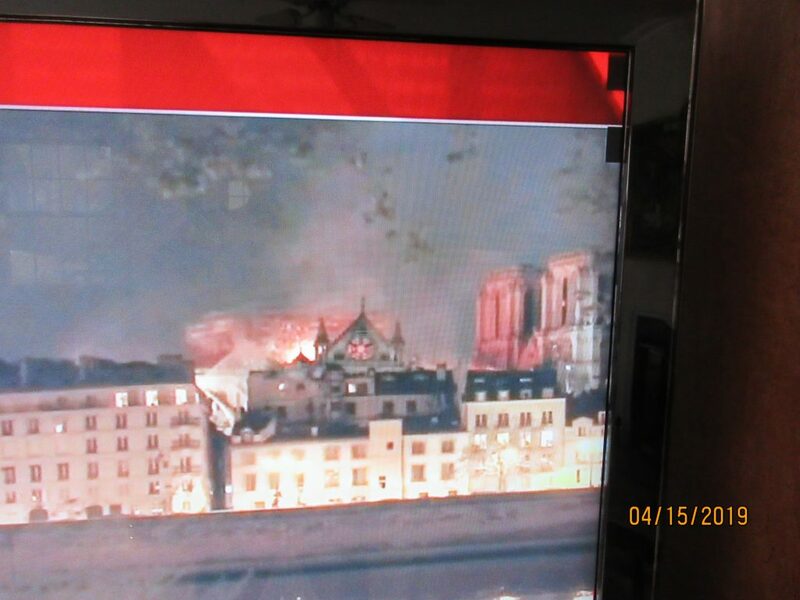 Reuters reported some relics and artworks were saved by firefighters, and that the main structure of the church had been saved. The New York Times reported this morning that 2/3 of the roof was destroyed. 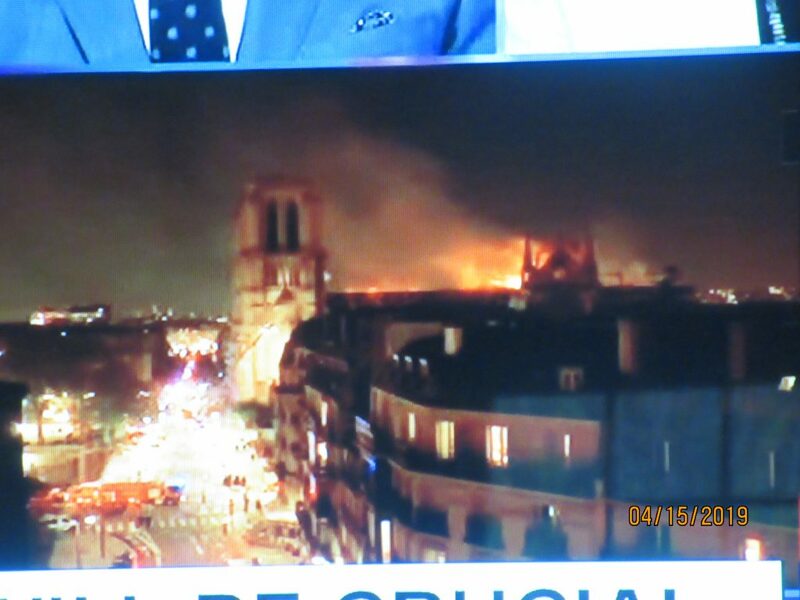 The two towers at the entrance of the church were saved The Times correspondents, Adam Nossiter and Aurelien Breeden reported the cause is not known. 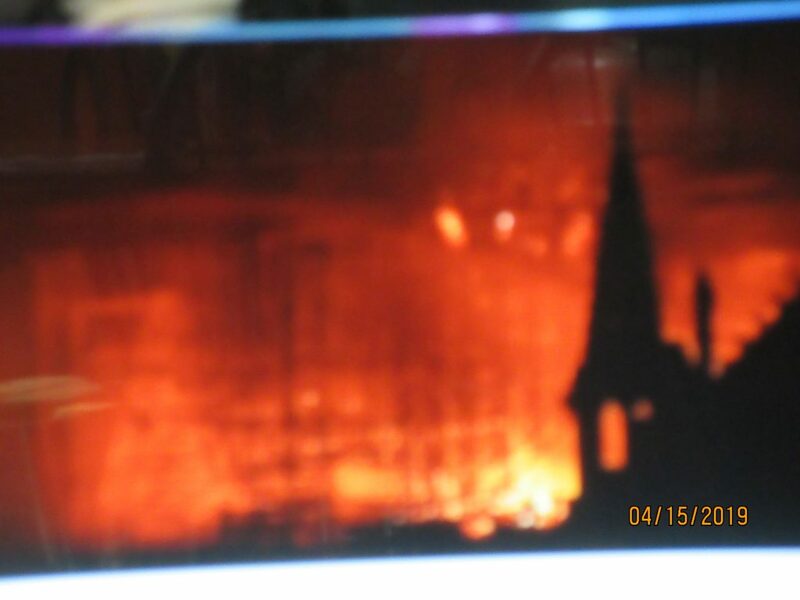 They reported the rector of the Cathedral said the fire stared in the wood beams supporting the church roof. It started at about 6:30 PM Paris Time, took 5 hours to control.